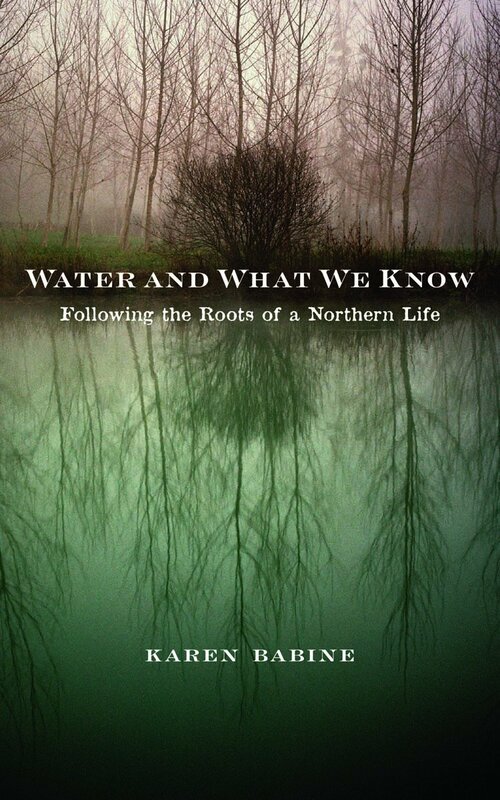 This week I'm excited to feature a three-part interview with my friend Karen Babine, author of Water and What We Know: Following the Roots of a Northern Life (University of Minnesota Press, 2015). 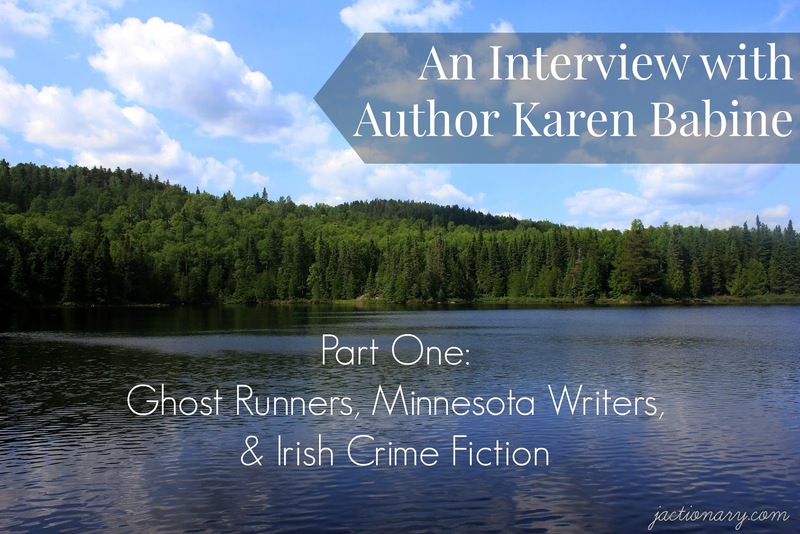 Karen was born and raised in the lake country of Minnesota. She earned a B.A. from Concordia College, an M.F.A. from Eastern Washington University, and a PhD from the University of Nebraska-Lincoln. Karen has numerous university-level courses, from freshman composition to creative writing and all forms of nonfiction. In addition to her teaching and writing, she currently serves as Editor of Assay: A Journal of Nonfiction Studies. Karen's work has widely appeared in print, including publications in River Teeth, Fugue, Weber: The Contemporary West, and Sycamore Review. Her essay "Deadwood" won Weber's 2007 Martin O. Lewis Price; her essay "An Island Triptych" appeared in the 2014 Best American Essays as a Notable Selection. Her first published book, Water and What We Know, is an examination of the northern U.S. landscape and the impact place has upon human experience. 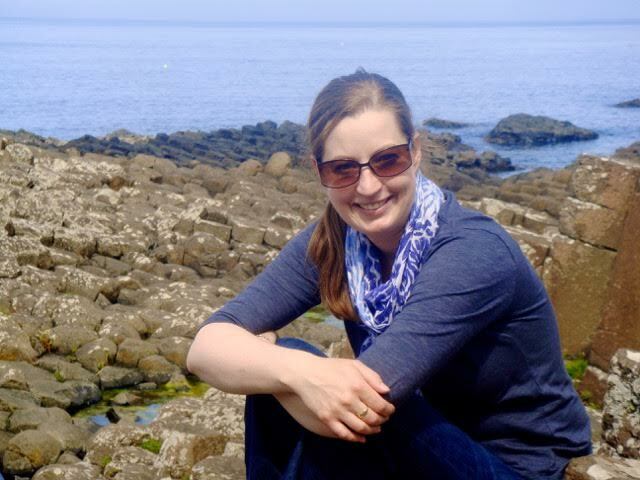 She is currently finishing her second book, a series of essays on Galway, Ireland. You can read more about at her website www.karenbabine.com. There's a stereotype that most people who become great writers had a difficult or sickly childhood: Hans Christian Anderson, Charles Dickens, the Brontë sisters, and the list goes on. How would you describe your childhood? Did you always have a fondness for reading and writing? My childhood was great and I recognize how lucky I was in that. My parents are still married (they celebrated 39 years on June 19th) and I didn't lose any of my grandparents until my grandpa died in 2006. My sisters and I are close. My dad's a pastor and so we moved a lot until we moved to Nevis, where we were able to stay for seventeen years. That's pretty rare. As a result, I don't have traumas to write about and I don't think my life and its story are all that interesting (unless you ask me about my niece and nephew and then I'll tell you stories for days). I grew up in a gorgeous area and I had the kind of personal freedom that you can only really get when you live in a rural area. We could disappear for an entire afternoon and play outside. Everything in town was three blocks from our house—the school, the beach, the grocery store and post office. There weren’t a lot of kids who lived in town, so my two sisters and I played a lot together, which required a lot imagination. It’s a little bit tough to play baseball with three people, so we had a lot of ghost runners. There was always something happening in town, from football games after school on Fridays in the fall—all the games were at 3:15, because there weren’t any lights—to half-price hamburgers at Shenanigans, to the annual town festival, Muskie Days. I didn’t know it at the time, because I didn’t know that nonfiction had a name, but these were all the seeds for great essays. I don’t think my life is that interesting, but I think what I’ve seen and experienced is—I mean, what’s not to love about a hometown whose claim to fame is being the home of the World’s Largest Tiger Muskie? As for a fondness for reading and writing: always. I don't remember a time when I wasn't reading. My mom will tell the story of me being tested in kindergarten and I was reading at a twelfth grade level--I didn't know what those words meant, but I could read them. I wasn't very interested in classic children's literature when I was at an age where I should have been. Nancy Drew was my favorite and I'd read those under the covers with a flashlight. In the long run, though, she paid off: I won the spelling bee in sixth, seventh, and eighth grades (then going to regionals and in 6th grade, I almost went to state)--but in 6th grade, my winning word was espionage. So, I tell my students, it doesn't matter what you read as long as you read. When you look back at your elementary, junior high, and high school years, did you have any teachers that left lasting impressions? Classes or subjects that incited your interest in writing about the world? I had three great English teachers and only in hindsight do I realize how great they were, how much of a burden it really was for them to do anything outside of the classroom when it came to reading my work. At the time, there was a monthly newspaper that published only high school student writing, The High School Writer, which I don't think exists anymore, but they each pushed me in that direction and so the High School Writer got my first publications, all the way back to 7th grade. We were a super tiny school, so we didn't have many options in the way of electives, but eventually I got hooked up with a local writing group called the Jackpine Writers Bloc--and I was the only high schooler in it--and they put together a literary journal called The Talking Stick twice a year. At this point, I had no idea that literary journals existed. This last weekend, I participated in Author Fest at my hometown bookstore and it brought in Minnesota writers from all around, from not-so-well-known-names like me to heavyweights like William Kent Krueger and Margi Preus--and sitting next to me was the woman who had started the Jackpine Writers Bloc twenty years ago. One of the pieces in my book, about the birchbark canoe, parts of that essay were originally published in The Talking Stick. The world is small and it is wonderful. You now work as a teacher, writer, and editor. What was your very first job? Have you worked in any odd or unexpected fields that your readers would not expect? My first-first job? Cleaning cabins at one of the local resorts on Saturdays. I grew up in the Lakes Country area of northern Minnesota and it's dense with tourists and resorts. Turnover is always on Saturdays, so we started super early and had to get those cabins cleaned by check-in time. My best friend Aimee and I were on the bed-making crew, so we were first into the cabins, to strip the beds and make them up (grateful to my mother and grandmother for teaching me hospital corners) before the rest of the crews could get in there and clean the rest. I still smell Runaway Bay Resort whenever I smell Windex or PineSol. I waitressed through high school and we had a student-run business (sort of), a pizza place, which lasted about a year and a half. It was great fun to work in, but there was a lot of sentiment in the town that they didn't want their taxes paying for it (and they weren't--all the investors were private). We had a lot of fun inventing new things to put on the menu. I worked in my college's photo lab in college, which was so much fun in a lot of ways--our boss was a professional photographer, but the rest of us were students. I learned how to develop film and make prints and all kinds of things that make me miss having a darkroom handy. Much of your writing focuses on creative nonfiction, though you write in other genres as well. What is the appeal of this genre? Who are some of your favorite nonfiction authors and texts? Do you find there are pros and cons to writing in these forms as opposed to choosing fiction or poetry? Truthfully, nonfiction was sort of an accident for me. In high school I wasn't writing fiction, but I was writing these little anecdotes about real things and those were much more interesting to me. It didn't even occur to me to write about myself, about any stories I had to tell--it was always somebody else's. When I got to college, Scott Olsen was the resident nonfiction professor, but we also had Paul Gruchow and Doug Carlson as visiting writers--and at the time, I had no idea what that meant, or who Gruchow was. But I took a Minnesota Writers class--which changed my life--and in it, we read Gruchow and he just blew my mind. Here was somebody writing about rural Minnesota and it was getting published and not only getting published, but winning major awards. It just took off from there. I’ve reconnected with Doug in recent years—he’s now an assistant editor at Georgia Review. My senior year of college, I started a novel about the Irish Great Famine because I had just gotten back from a study abroad in Ireland and I was reading a lot of Irish literature. I finished it eventually, though it wasn't very good. I revised it during my PhD (nearly ten years later) in hopes that it might become good, but it never did. 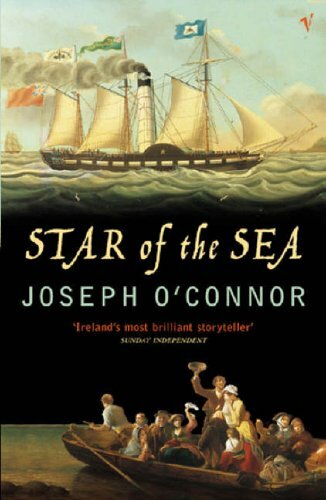 I remember telling my advisor that I was going to read Joseph O'Connor's novel Star of the Sea--set during the Famine---and she told me not to let it discourage me as I was revising. I told her not to worry--but in reality, that's what happened. I could never write a better Famine novel than O'Connor. I’m currently obsessed with Irish crime writing, for a lot of academic (and personal) reasons I won’t get into here—but Ken Bruen, Tana French, Declan Burke, I read them not just for what they’re doing as novelists, but for how they put sentences together. The first page of Burke’s Slaughter’s Hound—just wow. I adore fiction, the reading and the craft of it, but I often find it hard to write. And poetry, my brain thinks in prose. I love teaching poetry, I love reading it, but that's not how my expression tends to arrange itself. I think that all the genres are intertwined and it's essential for writers to study all the genres--and at least attempt to write in them. No writer should stay in only one genre. Besides personal narratives or research essays, it is sad but true that most universities fail to offer courses specifically dedicated to reading, writing, and studying creative nonfiction, in its earliest forms up through its modern-day reiterations. When did you first discover your love for writing in this form? How do you incorporate this into your own college classrooms? It's a struggle, believe me. With the exception of my undergrad (which is where I've taught for the last two years) and my MFA, everywhere I've been, nonfiction's been a fight for legitimacy. Thankfully, at Concordia and Eastern, nonfiction was a standard part of the curriculum and nobody would have dared suggest putting its energy into the other genres. But my first-year writing students come into my class with a hatred of nonfiction, many of them, and part of my goal is to teach them that reading is not always bad, writing is not always bad, and sometimes it's incredibly important. There's more than one right way to write something. So I assign creative nonfiction to read, for one, and I assign nonfiction that I know they'll like--even with a bias against it. 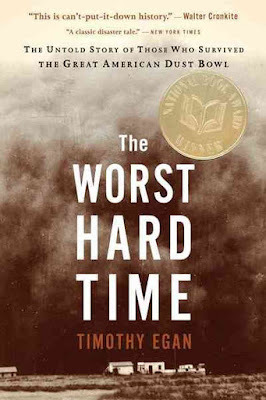 Timothy Egan's The Worst Hard Time--nobody escapes unscathed from that. And I continually ask: what can we learn, as writers, from what Egan's doing? 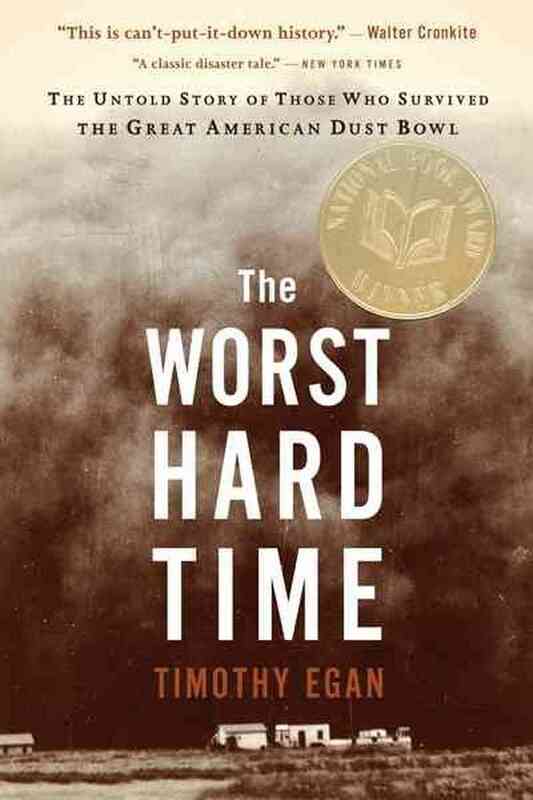 His book is a large-scale example of the particular project they're working on at that point; later in the semester, we read on mountaintop removal coal mining, which is also a large-scale version of their project. But I also ask them to question how many right ways there are to write something: we read Ron Hansen's short story on the 1888 Children's Blizzard alongside Ted Kooser's poetry on the same event. What do we get with fiction? With poetry? Why do each of these writers choose these genres? Approaching it from that angle, we can have some great conversations about our choices as writers. A lot of the reason that nonfiction doesn't get as much attention in the curriculum is simply because it fits into so many different spaces: in literature, it is the genre to write about literature; it has a place in composition and rhetoric; it is only recently considered an artistic genre alongside fiction, poetry, and drama. The scholarship on nonfiction is very thin, which is why I started Assay: A Journal of Nonfiction Studies. Nonfiction has a history all its own and I'm incredibly interested in that. I started out just writing it for the love of it, but now I'm also interested in the academic side as well. And because I work in that academic side with Assay, I can support nonfiction pedagogy as well, and make sure that the nonfiction community has a space to gather to talk about similar issues in our classrooms, how we’re doing what we’re doing. On the teaching side of this, I also get to work with some magnificent undergrads who are interested in nonfiction, interested in literary editing. My assistant editor (who started out as my editorial assistant) is doing great work with a data mining project of Best American Essays—and it’s been really fun to watch him grow as his work with Assay has progressed.